If pricing was as simple as sticking tags on 100% cotton llama-themed t-shirts or putting up a sign with how much the organic soy chai lattes cost by size, small business owners would have it easy. It can be challenging to know whether your products or services are priced too high, too low, or just right. 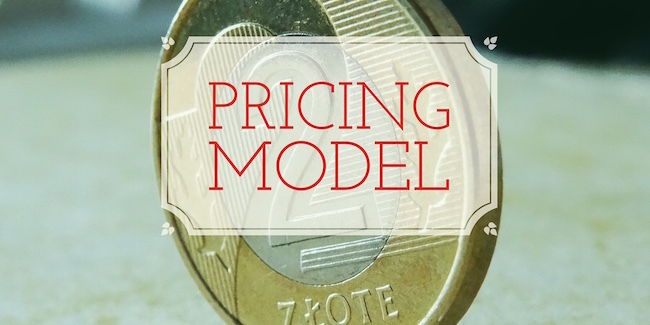 But choosing a pricing model doesn’t have to be a Goldilocks-esque task of trial and error. You’ll want to consider what others in your industry are charging, whether or not your add-ons will allow you to make a good profit, and whether or not what you are charging will be enough to cover your costs and make doing business worth your while. Here are some details to consider that will make pricing a whole lot less of a headache. Do you run a business in which you offer a base model to which customers can add other options? Think of the last time you went out for a scoop of ice cream. One scoop only cost $2, but you decided to get a chocolate-dipped waffle cone, which cost an additional $1, and then you thought you’d treat yourself and get an extra scoop, which was another $1. Maybe you even chose from premium flavors or added sprinkles (an additional $0.50 each). This is how tiered pricing works. Customers initially know they’ll be paying what’s called the front-end price, but they end up choosing additional options which cost more. Using tiered pricing allows you to bring in customers who are planning on paying the front-end price, but who may choose to pay more for luxuries once you’ve got them in the door. How much would you pay for an ice cream cone, a haircut, a portrait package, or a freshly cut lawn? Whatever number you throw out right now might not reflect at all on what others are willing to pay. That’s why it’s so important to find out what your competitors are charging–and, by association, what the consumers in your industry are paying for similar products or services. You may decide that you want to position yourself as the low-cost option, or you may decide that you’re going to cater to high-end customers, offering something special that no one else has. You may also decide that because what you’re offering is more convenient, you can charge more than competitors do. That’s fine–whatever you choose, you should simply first be aware of what others are charging (and paying) so you can position yourself accordingly. It should go without saying that you need to cover your costs. That doesn’t just mean the cost of the ingredients you use to make your organic gluten-free muffins. You’ll also need to think about overhead, like electricity and lights; packaging, like those fancy bakery wrappers and take-away boxes; maintenance, like getting your industrial mixer fixed; and labor, like paying your early-morning baker and, obviously, yourself. As a small business owner, you may worry that you’re charging more than what a larger company would for a somewhat similar product (though you know in your heart that yours is better tasting, or fluffier, or shinier, or longer-lasting, depending on just what it is you sell). But you’re offering a totally different experience than a chain or a big-box store, and you’re also offering personal service that can’t be found anywhere else. If you want to keep the lights on and your passion burning, make sure you’re charging enough to turn a profit and grow your business.